Here is Edward Rutherfurds classic novel of London, a glorious pageant spanning two thousand years. He brings this vibrant citys long and noble history alive through the ever-shifting fortunes, fates, and intrigues of half-a-dozen families, from the age of Julius Caesar to the tw... read full description below. 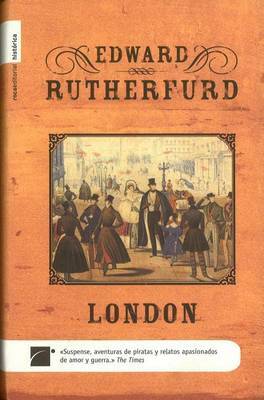 Here is Edward Rutherfurds classic novel of London, a glorious pageant spanning two thousand years. He brings this vibrant citys long and noble history alive through the ever-shifting fortunes, fates, and intrigues of half-a-dozen families, from the age of Julius Caesar to the twentieth century. Generation after generation, these families embody the passion, struggle, wealth, and verve of the greatest city in the world.